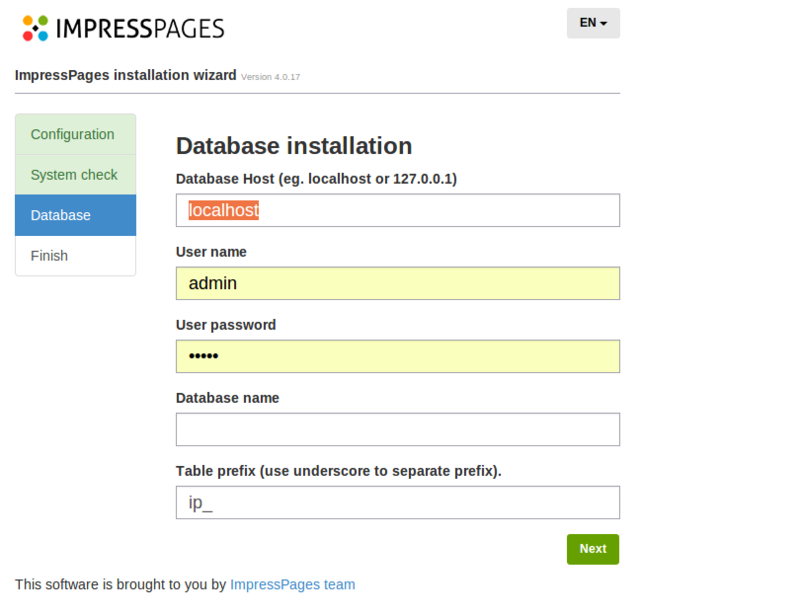 Now you can install ImpressPages in two simple steps. Once you've downloaded the software, provide your website configuration data. If your system meets all the requirements, you will be automatically transferred to database installation. Once the installation is complete, you will be automatically transferred to your website where you can change your username and password. With this release we are starting to collect ImpressPages usage statistics. Don't be put off by that, no website content is transferred. It helps us to understand our users better, issues they may be facing and base future improvement of ImpressPages on it. 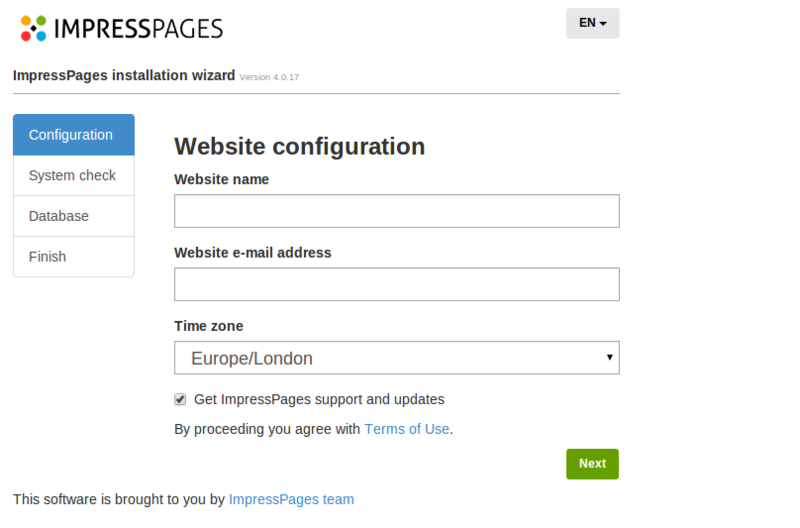 Download ImpressPages 4.0.17 now and try out the new installation!